Plenty of big companies have left lengthy public comments explaining their opposition to Comcast buying Time Warner Cable. Still, though, not everyone who is afraid of the potential consequences of the merger is able to go air their grievances publicly. Media organizations that usually love announcing their opinions to anyone and everyone have been suspiciously silent on the matter, perhaps, as Sen. Al Franken suggested, due to fears of retaliation from their largest business partner. But just because those companies aren’t filing public comments doesn’t mean that they’re in love with the merger, and they may be telling a very different story behind closed doors. The Wall Street Journal reports that, at the invitation of the FCC, some media companies are beginning privately to gripe about their deals with Comcast, and how those contracts put the content companies at a disadvantage. Comcast is huge. If a cable network wants to survive, they can’t afford not to be carried to Comcast subscribers. So Comcast contracts can ask for “most-favored nation” clauses, which is to say guarantees of prices and terms that beat out any offered to the competition. 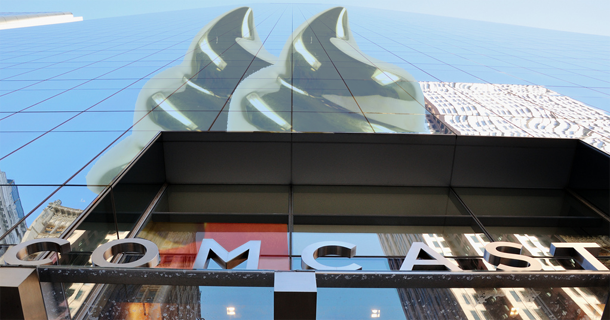 The contracts not only let Comcast get cutthroat rates for content, but also can cover everything from which channels are bundled in tiers together to what can appear online, where, and when. And the bigger Comcast gets, the more leverage they can exert. Content companies that don’t own nation-devouring cable and broadband organizations of their own are, predictably, concerned about the growth of these contracts. But, says the WSJ, they are afraid to file public comments to that effect in part because they do fear retribution from Comcast. So the FCC is inviting those organizations to leave private comments, instead of public ones. The ever-popular “people familiar with the situation” told the WSJ that Discovery Communications (which runs 13 U.S. networks, including Discovery and TLC) is planning to meet with the FCC, as are executives from other media companies. The media organizations that do meet privately with the FCC are expected to ask that a number of conditions be applied to any version of the merger the commission might approve, and high on that list are the most-favored nation clauses. One executive told the WSJ that “the entire landscape is booby-trapped” with the agreements. The contract clauses do potentially raise significant concerns about competition and innovation. Media companies have complained that the agreements prevent or deter them from licensing programming to potential distribution competitors. The FCC responded to the WSJ that providing confidential avenues, when appropriate, is “an established part of the FCC’s rules” as part of their pending merger proceedings.